The BGD software options encompass general packages and solution-specific options. The choice support system helps the user to select the most appropriate BGD tools to tackle the problem he/she is interested in. 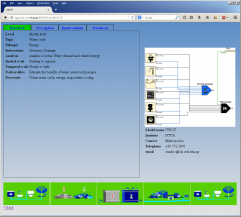 The user can either graphically select the process that is to be modelled or search for key terms in the form provided by the system’s on-line, graphical user interface. This has been compiled by TU Berlin using data values obtained from the literature, in tandem with data generated from the BGD test sites. 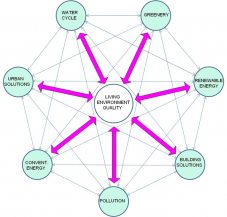 This tool is designed for use by urban planners and architects. Based on the criteria set by the user, the matrix produces a ranking of viable BG measures, enabling the selection of the measure most appropriate for the given context. A demonstration version of the tool is now being tested. Please contact the BGD project manager for further information. Ecole des Ponts ParisTech, in collaboration with Imperial College London, plus the other BGD partners, have developed a suite of BGD learning materials. 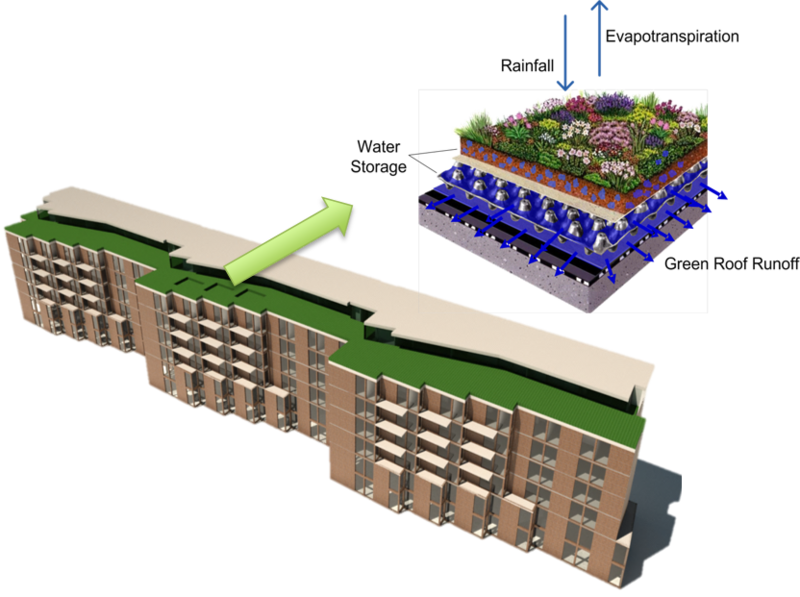 In collaboration with National Taiwan University (NTU), Imperial College London are creating a Building Information Modelling module for visualising and simulating the effects of green facades on building energy performance. 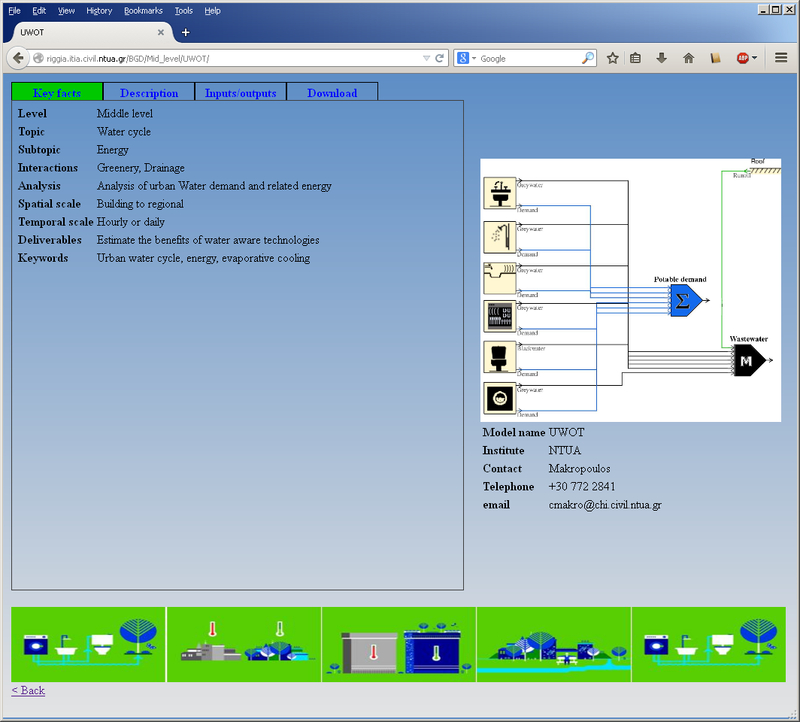 This is a platform for integrating the BGD software tools. 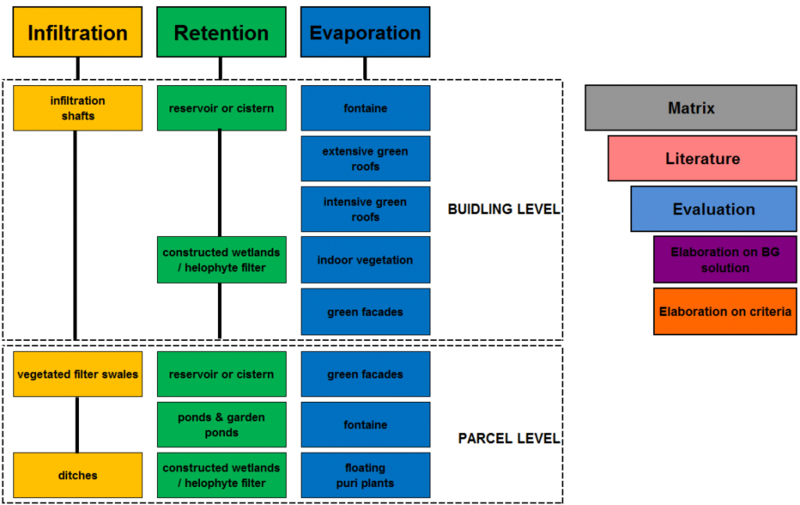 Through inter-linking the BGD computer models, it enables complex analyses related to final design and ecosystem service, benefit quantification.